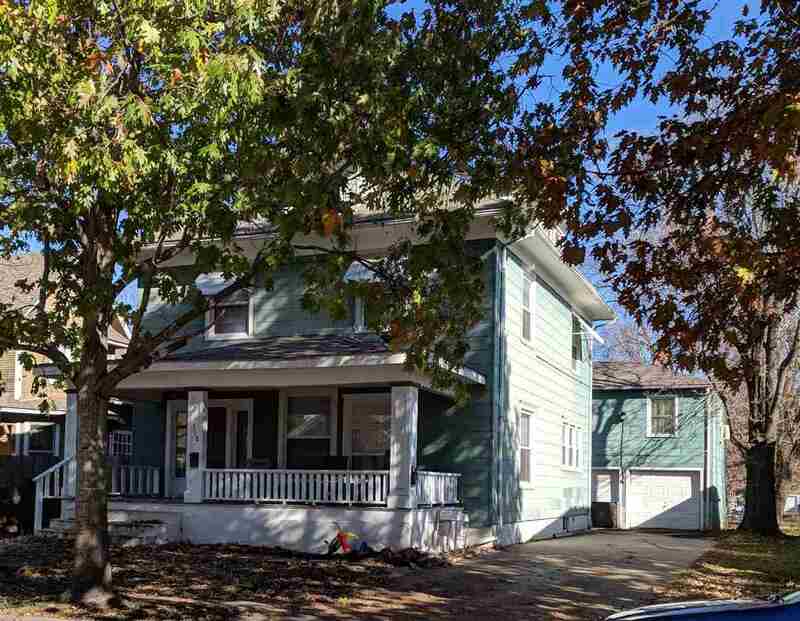 Investor Special with Immediate income...both home and apartment above the garage are currently rented. Home has had several improvements: new windows, newer tile entry, newer neutral carpet, full bath on main floor has been tiled, landing to upstairs tilled, roof replaced in 2012, HWH replaced in 2018, dishwasher replaced in 2016 & furnace rebuilt in 2018. Apartment had updates as well: newer wood laminate flooring installed, window unit installed & additional cabinets added to kitchen area. Apartment consists of a living room with neutral carpet, kitchen area & 1 bedroom. The 2 car garage is divided for use between the tenants. Tenants are responsible for all utilities (trash, gas & electric). The water is paid by the owner, the meter is shared-average water bill $40-$50. The Bonus Room on the main floor provides the option of a bedroom, office or main floor family room. Home and apartment to be sold as is, where is. Potential You Can Bank On!